Dubai: Dubai’s Roads and Transport Authority (RTA) recently opened five temporary ‘Trucks Rest Areas’ on several Dubai highways. The first one is located on Shaikh Mohammad Bin Zayed Road in the direction of Abu Dhabi at Nad Al Sheba. There are two rest areas on Emirates Road; one in the direction of Dubai at Warsan, and the other in the direction of Abu Dhabi at Al Tay. The fourth is on Al Ain-Dubai Road at Al Lisaili and the fifth on Lehbab Road at Al Lisaili. “In line with RTA’s plan to enhance highway traffic safety, RTA had completed the Dubai highways temporary Trucks Rest Areas project. 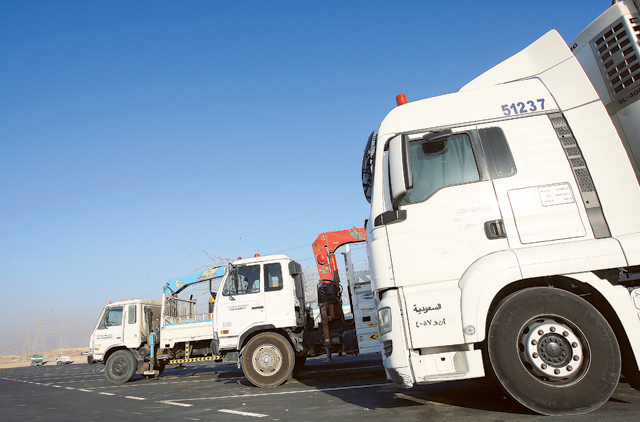 The latest batch of five rest areas opened has a combined capacity of 190 trucks, which brings the overall capacity of RTA-constructed rest areas to 510 trucks,” said Maitha Bin Adai, CEO of Traffic and Roads Agency, RTA. RTA now has accomplished the construction of 18 highway truck rest areas compatible, she added.